To keep the law, bill collectors, landlord and enemies away from your door, make some St. John the Baptist Water. 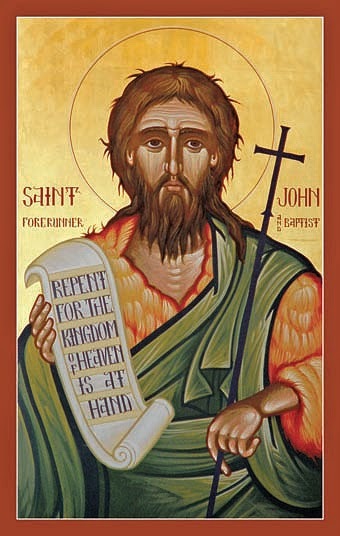 On St. John the Baptist Day, June 24th, collect some water from a river into a bottle while reciting the Lord’s prayer. If you are in the New Orleans area, get some water from Bayou St. John. Lay the bottle on its side with the head of the bottle pointing out of the door. When the law, your landlord or any undesirable person comes, call out to St. John and Marie Laveaux and ask them to help you keep the undesirables away. While doing that, take that bottle full of St. John the Baptist water and roll it with your foot to the front door. If they come to your door, when they leave roll the bottle with your foot back to its position with the mouth of the bottle pointing out the front door. This bottle of water is to be kept from year to year and never emptied out.